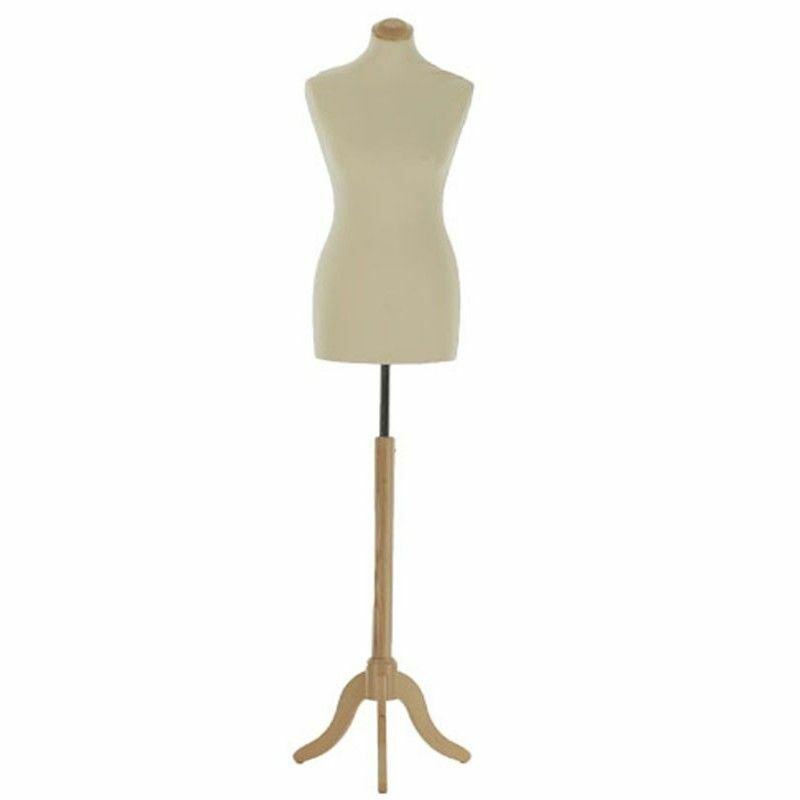 This pretty woman bust seam is first prize. It is Polystirene foam covered with Lycra house. This bust model has neither head nor arms. 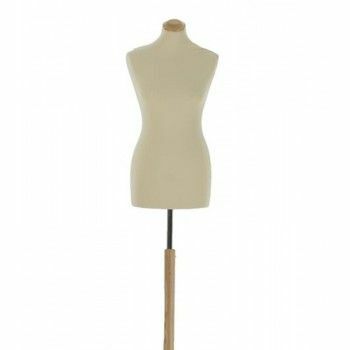 This bust comes with a wooden tripod base that acorde perfectly with the beige color of this buste.La height of this mannequin is adjustable. 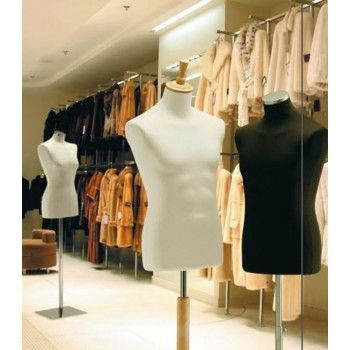 Bust seam that will adapt to your different worlds, collection presentation - showroom - salon. 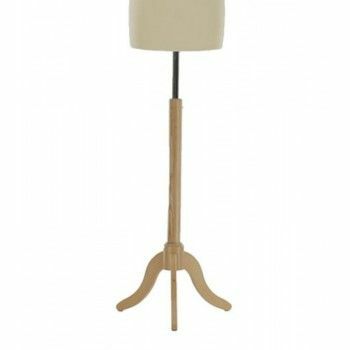 Bust woman sewing polystyrene covered with beige jersey with natural wood tripod base and stems are Adjustable settings. 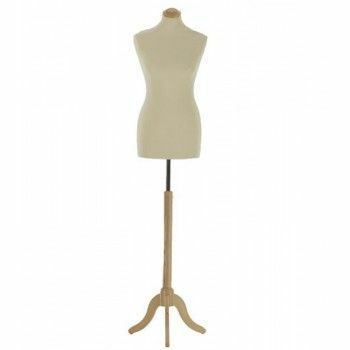 The dimension of the bust are 71 cm in height, a chest size of 85 cm, a height of 66 cm, of a hip and shoulder 89 cm 38 cm.